As a family physician, Dr. Walker cares for patients of different ages (including adults and children) and those from all walks of life. She enjoys engaging her patients in their health care by building a safe environment of trust, knowledge and shared decision-making. She connects with her patients by providing high-quality health care with the overall goal of yielding meaningful improvement in their well-being so that they may enjoy their families and other aspects of their lives. Dr. Walker has a special interest in preventive health, the care of the elderly, primary care office-based procedures and global health. Originally from Freeport, Long Island, Dr. Walker attended college at Binghamton University, SUNY in Binghamton, New York and subsequently earned her M.D. at SUNY Upstate Medical University in Syracuse, New York. 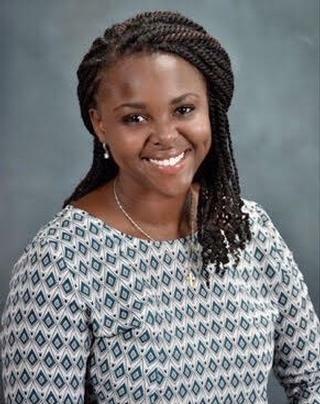 She completed her residency in Family Medicine in June 2017 at Virginia Commonwealth University - Riverside Family Medicine Residency in Newport News, Virginia. Currently, Dr. Walker lives in the Rochester area with her husband, Christopher. She enjoys spending time with Chris, her parents and her sister. She is a self-proclaimed foodie and home-chef who enjoys cooking traditional Jamaican meals and trying new recipes and restaurants from various cultures.